In just a few short years, hyper-converged infrastructure (HCI) has emerged as a critical enabling technology for IT teams to modernize data centers while keeping costs under control. With HCI, IT is typically able to reduce total cost of ownership (TCO) by 50% or more compared with traditional three-tiered architecture models. TCO savings are by far the biggest factor driving HCI demand. Reduced cost was cited as the top purchasing criteria by 47% of current HCI users and 37% of planned buyers in the TechTarget Research Data Center Market Landscape Study. In addition, factors such as reduced configuration and integration problems and consolidation—which also lower TCO—were cited as top criteria. HCI provides IT with a modern software-defined architecture that delivers the benefits of cloud economics, agility and scalability to on-premises or hybrid cloud data centers. In an HCI solution, the server, storage and network resources are all virtualized and combined under a unified management platform. HCI leverages automation and orchestration to reduce risk and dramatically simplify all operations, including initial deployments, ongoing maintenance, scaling and on-boarding. IT teams can provision infrastructure and services at the speed their business users demand, without having to work nights and weekends. The value of HCI in lowering TCO goes beyond cost savings: IT teams can accelerate speed to market; drive major productivity increases; improve infrastructure performance; support new initiatives such as virtual desktop infrastructure (VDI); and make the overall business more agile and responsive to the needs of employees, customers and partners. Coop Denmark is the largest retailer of consumer goods in Denmark, with more than 40,000 employees and revenue of approximately $7 billion a year. When the company ran into performance bottlenecks with its existing storage solution, it weighed two options: expand the legacy storage system with additional expenditures or implement a new storage architecture based on HCI. Wachter Inc., based in Lenexa, Kan., is a leading national provider of complex infrastructure solutions such as power, data, automation, communications and security systems. 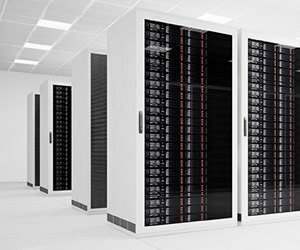 Storage performance and capacity limitations threatened to impact business operations. “We were getting to the point where we either had to purchase more capacity or come up with a different solution,” says Carl Shriver, IT operations manager. CINgroup, based in Dayton, Ohio, is the leading provider of bankruptcy software in the U.S. market. As data volume and variety grew, the company’s traditional SAN could not meet capacity, performance and backup requirements, particularly as CINgroup moved to a cloud delivery model. CINgroup considered buying more spindles but concluded that would not be sustainable. It considered using a public cloud service but worried that costs would be unpredictable. After thorough evaluation, CINgroup deployed a hyper-converged vSAN solution from VMware. IT teams are under constant pressure to keep costs down while also improving performance, agility and scalability. HCI provides an opportunity to accomplish all of these goals with a modern deployment model. As seen in the case studies in this article, TCO benefits include lower Capex and Opex, along with accelerated time to value, increased productivity and improved infrastructure performance. As IT leaders across all industries have come to realize, the new economics enabled by HCI suit the new economics demanded by today’s businesses.